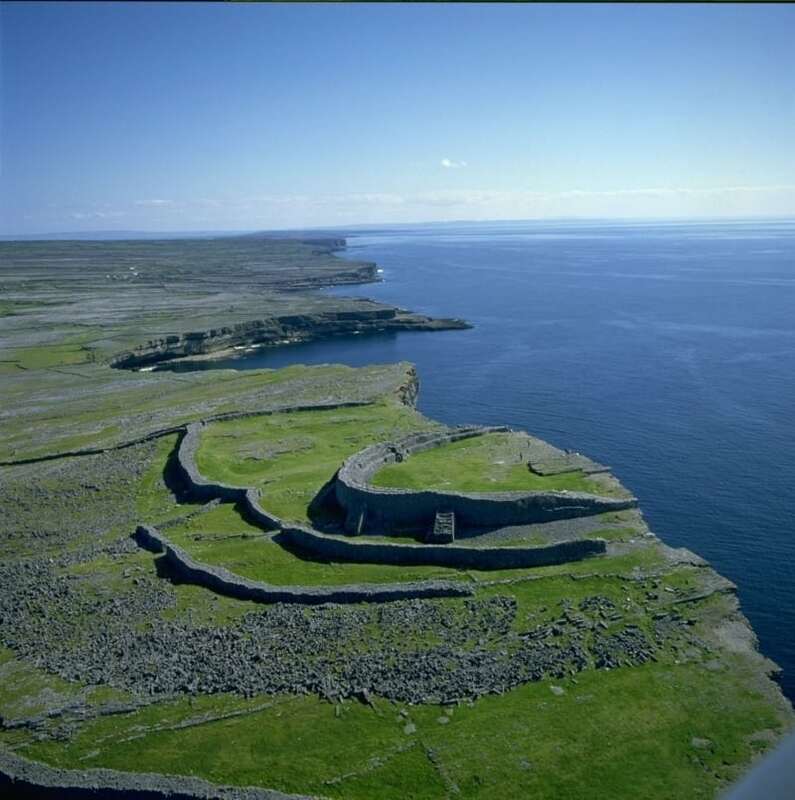 This full day cycle around Inishmore Islands is extremely popular, interesting and stunningly scenic. 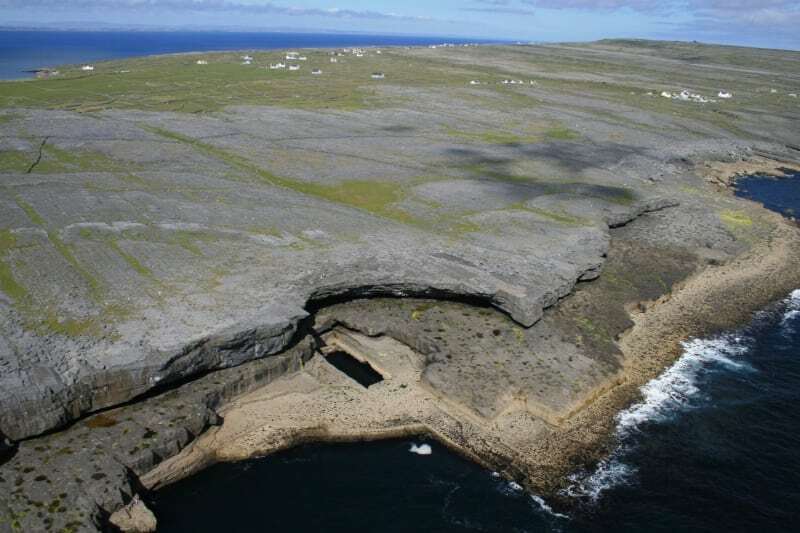 Inishmore is the largest of the Aran Islands off the west coast of co. Galway, Ireland. 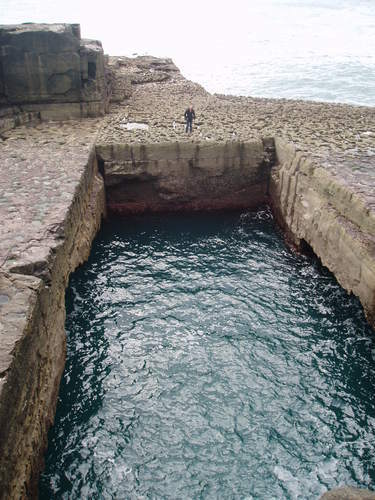 This route is a moderate full day (55 km) cycling route around the entire island stopping at all the best sights including the ancient stone fort of Dun Aonghasa, the strange natural rock formation and blow hole known as 'Poll na Peiste' (the Serpents Lair), scenic viewing points, beaches, headlands and old churches. Straight off the ferry, you can rent a bike for this stunning cycle route around the entire island and depending on time available you can judge how many places you can visit and explore.